The contractor will continue work on Auburn Avenue, Phillips Avenue, Burton Avenue and Kathy Kourt. One pipe crew will continue to install storm sewer on Phillips Avenue while the second pipe crew will continue to install storm sewer on Burton Avenue. The restoration crew is continuing work on Auburn Avenue shaping infiltration swales and placing the topsoil. The restoration crew will also be working on the Detention Basin at Richard and Hamilton. 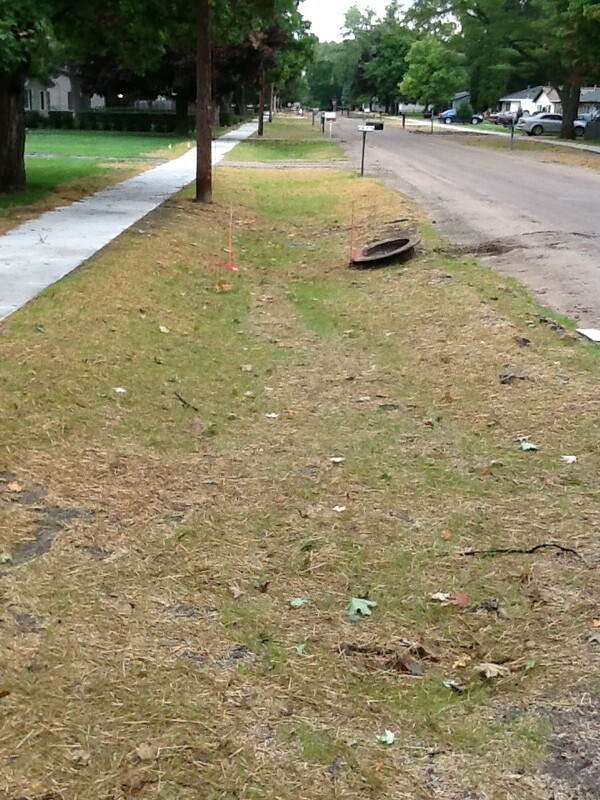 There is some minor restoration work to be completed along Dean Avenue. Seeding and mulching of disturbed areas along Dean Avenue and Auburn Avenue will also be completed near the end of the week. 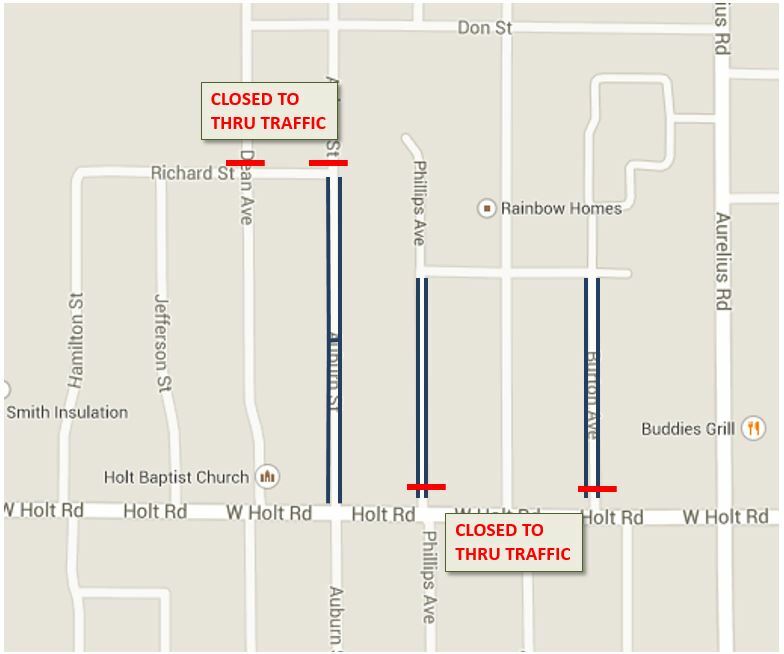 Dean and Auburn Avenues will remain closed to thru traffic from Richard Street to Holt Road and Phillips and Burton Avenues will remain closed to thru traffic from Kathy Kourt to Holt Road as the contractor performs pipe installation and completes restoration work. We appreciate the public’s patience as you avoid this construction zone.